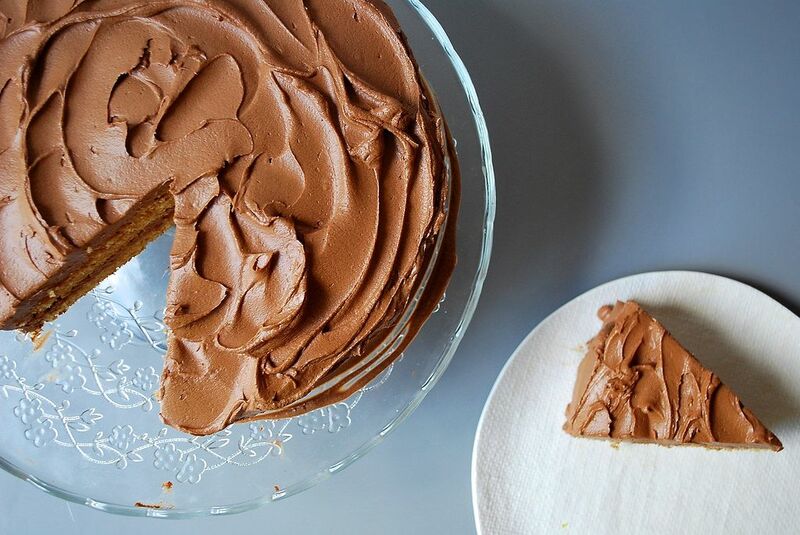 Today: A crazy trick to turn graham crackers into cake. This past weekend I baked a very deceptive little cake. 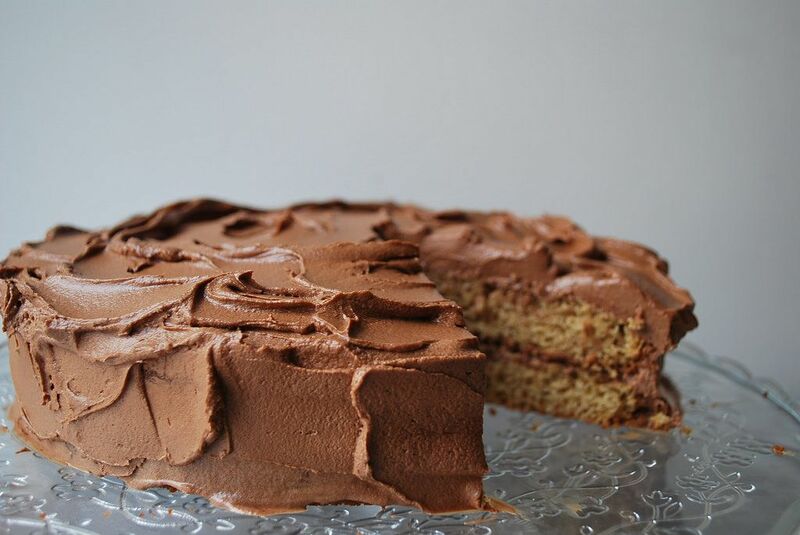 The recipe read like a standard layer cake (eggs, flour, sugar, baking powder, etc.) and the final product smelled like a cake and looked like one, too. It was airy, delicately-crumbed, and slightly moist; it sprung back at my touch, just like a cake. But then I took a bite, eyes closed, and tasted graham cracker. Was it magic? I uncovered this brilliant bit of baking alchemy in some old Nabisco archives. The recipe promised a delicate graham cracker cake and I was intrigued. Full disclosure: I think graham crackers dipped in milk are the eighth wonder of the world. More: Turn 1 box of graham crackers into 6 different desserts. Upon further inspection, the recipe is nearly identical to a yellow layer cake. The difference is that almost all the flour is swapped out for finely crushed graham cracker crumbs. I worried that this would make the cake leaden, dense, and overly sweet. When I considered experimenting with graham flour, I thought "Ye of little faith!" and gave the original recipe a shot. The result is incredible—as in, you literally won't believe how good it is. 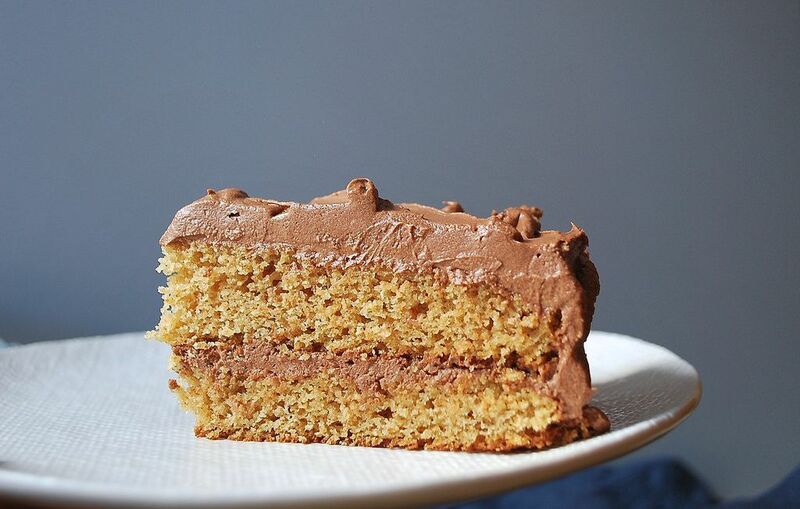 You get the exact flavor of a graham cracker in a light, tender mouthful of cake. 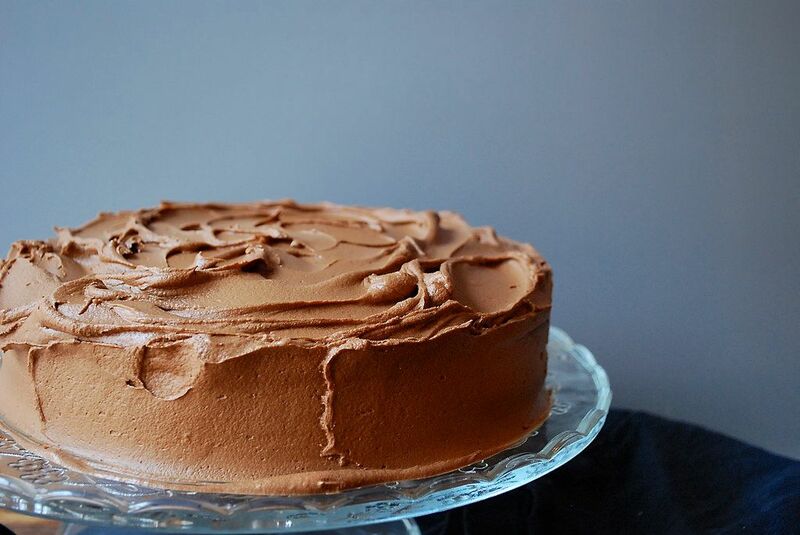 I paired the cake with sdebrango's Whipped Chocolate Caramel Ganache because one, it makes me want to weep with pleasure, and two, I get to save some and eat it with a spoon. Next time I make this cake, I'll try a marshmallow frosting with a dark chocolate filling for a very fancy take on s'mores. would it be possible to bake this cake into cupcakes, instead? if so, are adjustments necessary? I have a simpler recipe: Chocolate Graham Log Dessert. Maybe a little more time consuming, but tastes amazing. Please check it out as this is my first "share" at Food52. I will try this recipe as well. Sounds wonderful. As a home baker who sells "home baked grandma stuff " to a local hipster shop this recipe made me crazy with joy ! I cannot wait to make this and let you know about the dozens of millennial a who will now crave graham cracker cake ! Yum! I'm going to try this w/a key lime frosting for a cake version of key lime pie! One of our favorite family recipe from 1 can and 1 box! I also saute a can of sliced mushrooms with beef. Umm, Umm, Good. I'm not a big fan of Graham crackers (I always use a more interesting cookie when they're called for in a pie crust recipe), but I totally agree with you that Graham crackers crushed in a bowl with milk is delightful. I enjoyed it on occasion as a child (6 kids in our family, lots of competition for the one box of Graham crackers purchased per week), and my sons ate it as an afternoon snack countless times when they were in grammar school. This is #1 on my list of things to make! Thanks for the recipe, Posie! Years ago one of our favorite weekend breakfast dishes was "Dried Beef on Toast." There were two manufacturers of dried beef, Hormel and Armour. One of them printed a recipe on the plastic bag the beef came in. It had you cut up the beef, brown it in butter, add flour and brown, then add milk, dried onion flakes, marjoram seasoning, and Worcheshire sauce. It was really delicious! Unfortunately, I have not been able to find "real" dried been in the grocery stores in years. What is sold today is "Ground and Formed Sliced Dried Beef," a totally different animal. I have been told it may still be available in Amish markets, but unfortunately there is none near me. Anyway, this is an example of a truly outstanding recipe from the back of the package. Whoa, this sounds so delicious! Putting it on my list -- thank you!